And the winner is.....Mary T. from Kansas City, MO! 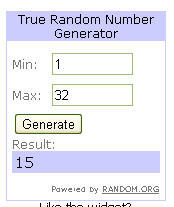 She was the 15th entry (see below random number generator = winner maker). Forgot to enter? Keep your eye out for future Reckless Abandon giveaways. Entered and didn't win? Well, you can still get one of Dave's amazing handmade baskets for a discount! He is offering $5 his large baskets for Reckless Abandon readers. Just send him an etsy message when you check out and mention Reckless Abandon by March 20th to receive the discount. Yippee! I'm so excited! Thanks, Rachel! (and Dave, too!!) I'm going to make #15 my new lucky number! 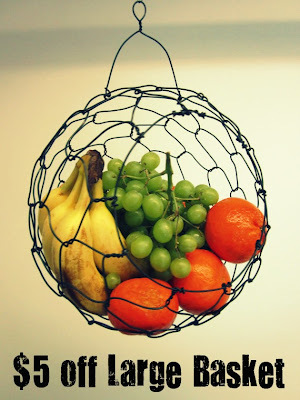 Can't wait for my awesome wire basket!